Most tractor buyers are looking for ways to enlist the use of their machines for additional tasks. If I could only attach my utility trailer to my tractor I could move "stuff" around my property faster and make my spouse think how clever I am. How about that boat trailer, wouldn't it be easier to position it exactly where I want it with the tractor? 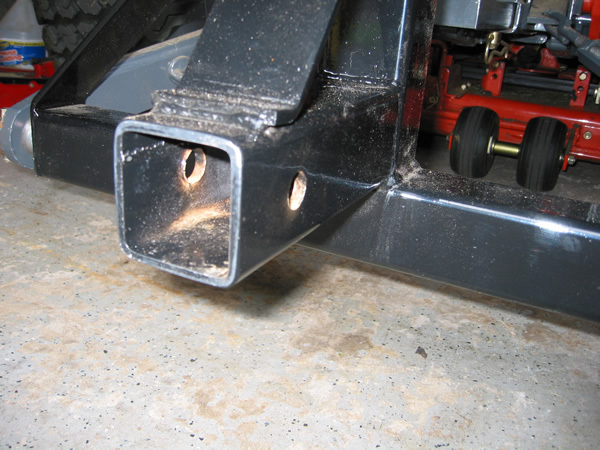 Summit Fabrications has tackled this situation with their FlexPoint Receiver Hitch. 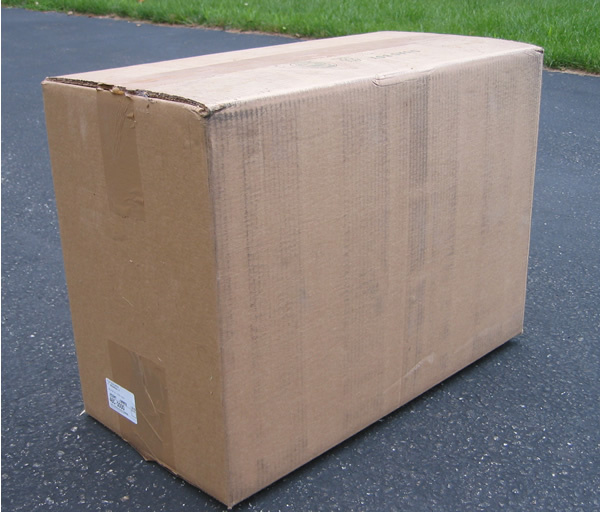 The FlexPoint comes shipped in a sturdy box with cardboard reinforcing inside. The FlexPoint hitch as three pieces, stuffed inside the hitch you will find the pins that connect the hitch to your 3PH. The pin for the upper control arm is not included, and you must supply your own snap pins to attach the Flexpoint to your hitch. The pins can be screwed in very easily and I used a screw driver through the snap pin hole to tighten it down. The FP Hitch is suprisingly light. The low weight is in no doubt due to the use of box frame construction. We attached a standard hitch to the receiver and we were off to try it out with our 4 foot by 8 foot utility trailer. We loaded the trailer with a half cord of wood and drove it on grades to about 8%. Later we loaded the trailer up with wood, but as it was late we set the trailer on a jack stand and then lowered the Flexpoint and drove the tractor off to the garage for the night. In the morning we easily backed the tractor with the Flexpoint up to the loaded trailer and hooked it up by lifting it with the 3PH off the jack stand, very nice! 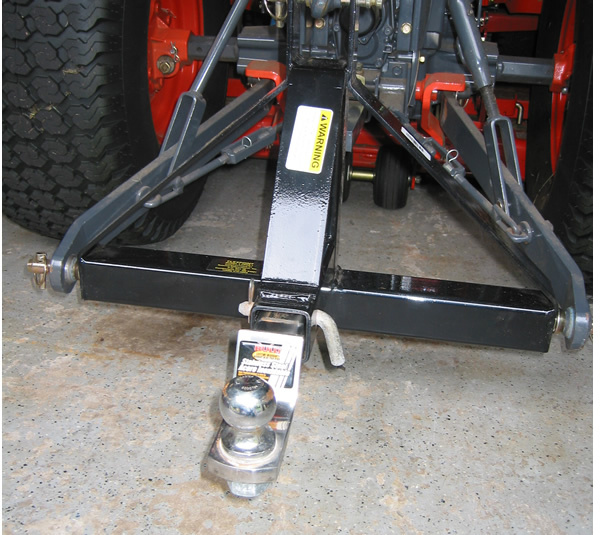 If you have trailers that need to be moved around your property the Flexpoint Hitch is a handy addition to your tractor. We have trailers with 1 7/8" and 2" hitch balls so it was also nice to be able to just slide in the correct size as needed. 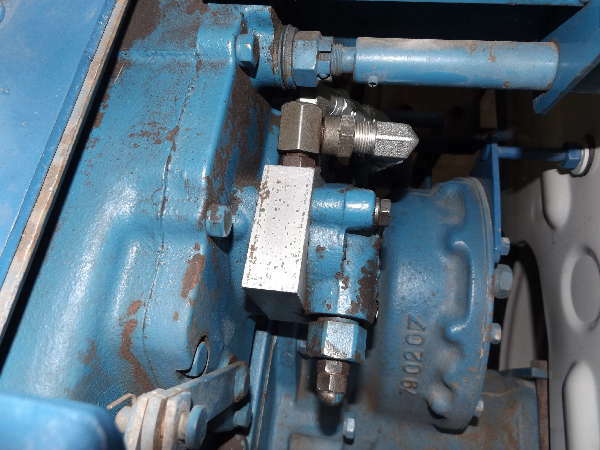 As always be sure you follow your tractor manufacturers operating manual when attaching anything to your tractor. 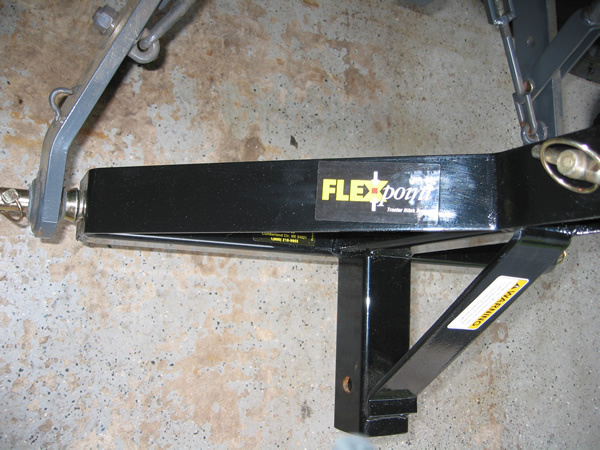 The Flexpoint is available for all category I tractors visit them at SummitFab.com.